Sign-up and receive Property Email Alerts of Residential Estates in Jackalberry Estate, Mandeni. Centrally located between the Durban CBD and Richards Bay, Jackalberry Residential Estate offers affordable stand-alone freehold housing on the sought-after KwaZulu-Natal North Coast. Mere kilometres from the picturesque Zinkwazi Beach and set on the banks of the Tugela River, the Estate offers two and three bedroom homes in existing residential neighbourhoods. Featuring a 9-hole golf course (with 18 tee boxes), events centre, bar and restaurant; Mandeni's first gated residential estate is secured by electrified perimeter fencing and 24 hour patrols. Residential fencing between properties will be dropped and small game species introduced, ensuring a tranquil sense of community and comfort. Rental demand is very high in the area and the majority of the properties brought to market for sale have already been occupied with tenants. Investors are able to purchase their property and place it with the on-site rental agents for leasing; ensuring a constant flow of rental income. 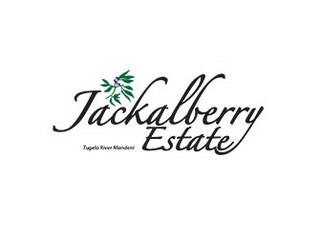 Barely an hour's drive from the city centre, Jackalberry is a unique entity and may very well claim to be South Africa's only Country Club Estate with entry-level homes. Although due consideration has been made to the housing needs of workers in the nearby industries of Mandeni, the true value of Jackalberry lies in its unparalleled return on investment when contemplating a rental income opportunity. With Zululand and the North Coast fast becoming the destination of choice for residential and commercial property developers; it is well worth a visit to the sales office of this distinctive location.